With fertile land and fresh water, Yates County has always been attractive to farmers and currently leads the state in the organic agriculture sector. Additionally, Yates County continues to flourish as a manufacturing hub, with a mix of manufacturers from different industries, including some that have called Yates County home for over 200 years! Many manufacturers call Yates County home thanks to the county’s very low costs of doing business. Yates County manufacturers have access to many services and incentives that help them remain competitive in today’s business environment. Yates County is unique in the number of lakes it fronts, the number of wineries it possesses, its extensive organic industry and the diversity of farm products it grows. Yates County is central to an ever growing wine and organic industry, and more recently local entrepreneurs have founded a number of microbreweries and its first distillery. As of 2014 there were 130 wineries in the Finger Lakes region with Yates County accounting for 35 and growing. Lesser known is the fact Yates County is home to 40+ of the more than 100 organic farms and businesses in the region. Yates County is one of the very few places in the country where the number of farms is increasing. In 2012, there were approximately 919 farms in Yates County generating sales of approximately $117 million, up from 722 in 2002 generating approximately $50 million. This is an increase in farm revenue of over 130 percent over 10 years! These farms purchase and maintain a large amount of farm equipment and overall these enterprises spend over $40 million annually in products, services, labor, utilities, and feed, in addition to requiring lots of nonagricultural support services. In addition to being a thriving farming community, 35 wineries call Yates County home, and the county is the second biggest grape producer in New York State. These wineries are responsible for employing more than 750 people and contribute more than $30 million in annual economic impact in Yates County. With the more recent addition of 4 microbreweries, numerous growers of hops, and a distillery, Yates County is becoming a real player of the fast growing craft beverage industry. The Birkett Mills is one of the world’s largest manufacturers of Buckwheat products. Established — and in continual operation — since 1797, we have over 200 years of buckwheat, soft white wheat, and custom grain milling experience in the U.S. market, as well as many worldwide customers. Our longevity is due to our tradition of commitment to customers in all worldwide markets. Quality, at competitive prices, is paramount to our success. Despite its small size, Yates County is growing more organic products than any other county in New York and was dubbed as New York’s organic capital by former New York Governor Spitzer. Organic farming has reached a critical mass in Yates County with over 40 organic farms and businesses growing hay, grain, milk, berries, vegetables, and other products for sale to buyers inside and outside of the region. The scale in organics that we have achieved is vital, as it facilitates the transition of even more non-organic farms looking to transition into organic production because the know now to do this is already here in the community. In addition to production and dairy farms, Yates County houses lavender farms, wineries and numerous food storage and processing facilities that are all certified organic. There continues to be a number of local outlets that carry organic goods, including wholesale bulk food stores, many wineries, the Finger Lakes Produce Auction, and The Windmill Farm and Craft Market. Abtex Corporation, located on Route 14 in Dresden, has been designing and manufacturing application specific abrasive nylon deburring brushes and automated deburring systems since 1980. Nearly all Abtex products are custom designed and built locally. Birkett Mills, the world’s #1 producer of buckwheat products for more than two centuries, has been in continuous operation at the site of its original location in downtown Penn Yan since 1797. Coach & Equipment, a manufacturer of small- and medium-sized buses, has been manufacturing in Yates County since 1895. Their continued success is evidenced by their move in 2000 to their new state-of-the-art 85,000-square-foot facility located in the Horizon Business Park in Penn Yan. Dudley Poultry Company Inc., is nestled in the scenic Middlesex Valley. Dudley has manufactured, marketed, and distributed fine quality poultry and related products since its inception in 1963. Ferro, a leading global producer of technology-based performance materials for manufacturers, is the world’s largest supplier of electronic materials for passive components used in the manufacturing of multilateral ceramic capacitors; specialty glass and colorants; ceramic glaze frit and stain technology; and porcelain enamel frit. Their Dresden, New York, plant is part of their electronic materials system division and develops, manufactures, and markets high-purity powders, pastes and tapes for many electronic applications. KanPak LLC, a family-owned dairy company based in Arkansas City, Kansas, acquired its Penn Yan facility at the end of 2014 and has been expanding ever since. The plant, which has liquid aseptic processing as well as yogurt capabilities, services the North East region and is one of the largest employers in the area. Penn Yan Aero has been remanufacturing and improving upon piston aircraft engines in Penn Yan since 1945. Today, Penn Yan Aero is a global leader in remanufacturing and reciprocating engines and engine components for single and twin prop driven aircraft and small helicopters. Penn Yan Aero also builds new engines for the “experimental” general aviation market. Remee Casting Inc., headquartered in Penn Yan, is known throughout the Northeastern United States as the premier manufacturer of cultured marble, granite and other solid bath products. By late 1990 Clearplass Containers had grown to capacity in their 45,000 sq./ft facility in Lyons NY. Penn Yan and Fairport were both considered as possible locations to construct a new facility. In 1992 a new 103,000 sq./ft facility was built in Penn Yan NY thanks to economical Municipal electric and a hard working - underutilized work force of Yates County. In a relatively short period Clearplass Containers quickly became a recognizable force in the plastics market and was purchased by Silgan Plastics, one of the largest plastics manufactures in North America in 1998. Working alongside the Finger Lakes EDC Silgan has developed several successful Management members, numerous skilled positions such as Process Technicians, Mechanics, and Quality Technicians as they rose to the most efficiently run Silgan Plant of a 21 Plant Division. Yates County is home to one of the nation’s leading telemedicine organizations, Finger Lakes Community Health. With local hospitals and within an easy commute of nationally and internationally renowned medical schools, teaching hospitals and veterinary schools, there is ample opportunity for either a burgeoning or established career in medicine or veterinary medicine. Keuka College is expanding their nursing program by partnering with Finger Lakes Health College of Nursing, in Geneva, bringing a dual degree (associates and BS) in nursing to Keuka College’s home campus. Keuka is exploring possibilities to increase the number of students by utilizing a building owned by Finger Lakes Health near the local hospital, Soldiers and Sailors, in Penn Yan, and using the hospital for clinical work. Keuka is focusing on rural health and on educating local students that desire to stay and work in the area. 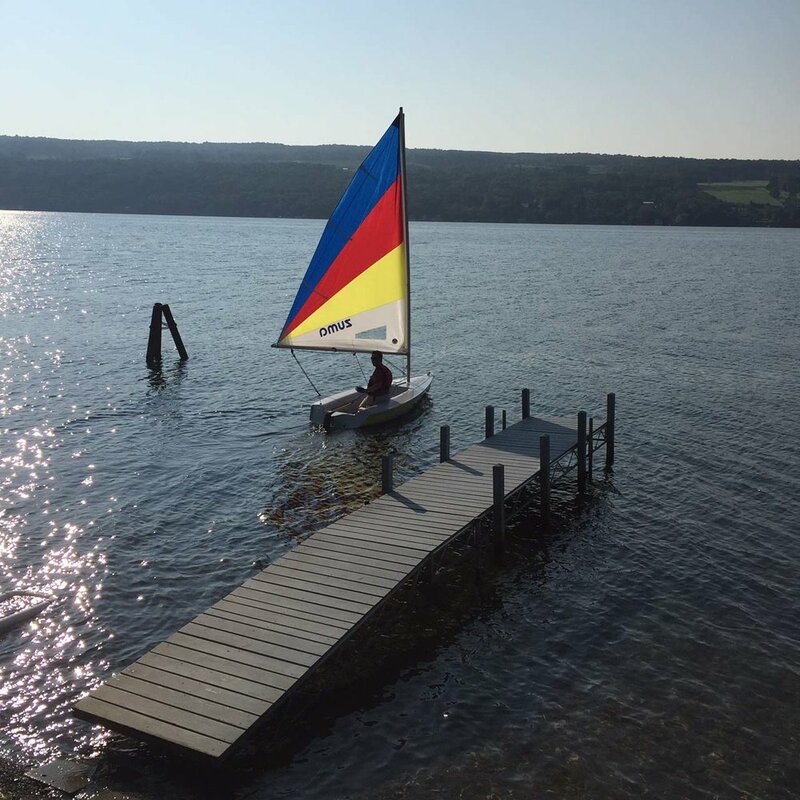 Yates County is at the epicenter of the Finger Lakes Region that sees more than 20 million visitors spend over $2.2 billion on an annual basis. Our tourism industry continues to expand with new venues, events and attractions and an ever-increasing focus on the area from vacation and tourism publications. With the recent addition of two new hotels downtown, there are now nearly 1,500 rooms for overnight guests within the county. Renowned for our beautiful scenery and world-class wines, visitors come to the region every year to visit our local wineries, tour and shop at our organic farms and farmer’s markets, vacation on one of our three Finger Lakes, hunt and camp in our forests and parks, stroll through our historic villages, hike along the outlet trail or purchase some of the many high-quality handcrafted goods produced by our local Mennonite families. With so much to do, there is little reason to doubt the economic impact of tourism in Yates County now and in the future. 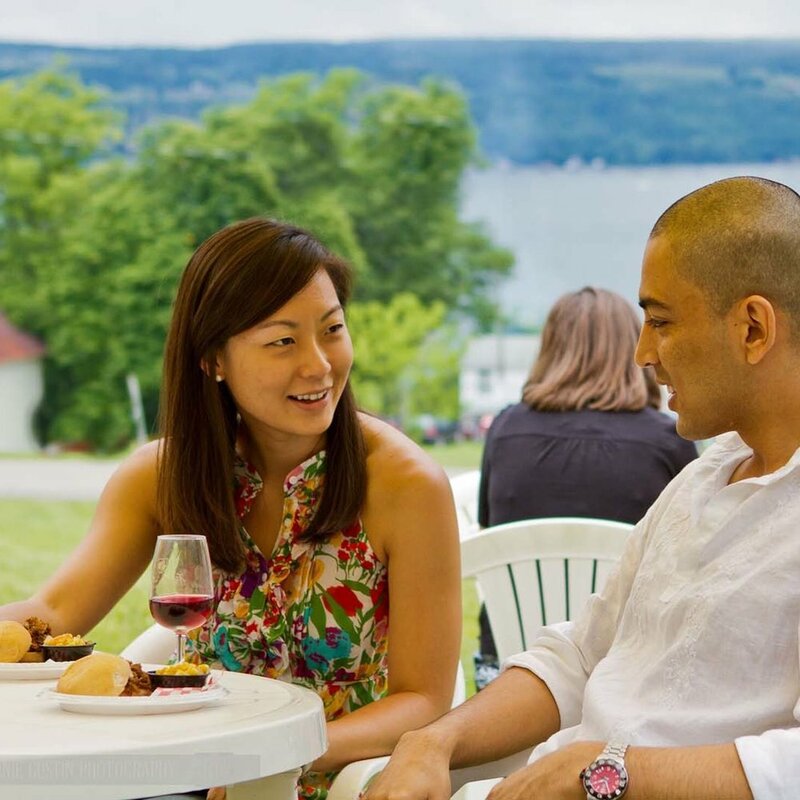 35+ Award winning wineries draw nearly 500,000 annual visitors that generate $14 million in annual retail sales and an overall economic impact of over $26 million, which allows our local wineries to invest in over $30 million in recent capital improvements. More than 100 wineries within driving distance.